Trey Wodele is one of the Twin Cities’ leading educators and advocates for youth in digital arts. He was a formerly the Coordinator and founding teacher at Minneapolis' Digital Media Academy, a high school for digital arts. Under his leadership the academy grew from a loose collection of electives to a thriving career academy and a destination school for digital media, particularly for underserved, at-risk youth. In his role as Coordinator for the DMA, Trey helped to facilitate a pair of productions that brought together high school media students, college film students, and industry professionals to produce music videos for a pair of major music acts. The collaborations resulted in highly successful, nationally recognized music video productions for hip-hop acts Atmosphere and Astronautalis. Trey now serves as the Associate Campus Director at IPR College of Creative Arts, as well as the Program Chair for the Digital Video and Media production program. Trey, along with Richard Hansen, founded the EDU Film Festival in 2007. The pair is currently collaborating at the Northern Film Alliance, a nonprofit they founded together, whose mission is to aid in the production and exhibition of regionally made film and video. Richard Hansen has spent the last twenty years working in Minnesota's film industry in a variety of capacities. Richard has worked with some of the brightest filmmakers in the Twin Cities and has guided productions for award winning artists such as Jerome Media Grant awardee Tara Spartz (I Hate Babysitting, 2001), Bush Fellow Liza Davitch (Victory Square 2003), McKnight Fellow Scott Coleman Miller (Uso Justo 2005), and McKnight and MSAB winner Al Milgrom (The Dinkytown Uprising (2015). Richard's production credits include the feature films I Hate Babysitting (2001) and New World Symphony (2003), and the wildly popular and successful short film Uso Justo (2005). He also is credited as Associate Producer on the 2015 Al Milgrom documentary The Dinkytown Uprising. Richard started his festival career at the Minneapolis St. Paul International Film Festival and went on to serve as the Film Curator at Redeye Cinema, the Director of Sound Unseen Film and Music Festival, and founder and Director of the Duluth Superior Film Festival. 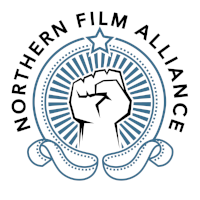 Richard and Trey founded the EDU Film Festival together in 2007, and continue to collaborate on EDU as well as co-founders the Northern Film Alliance, whose mission is to aid in the production and exhibition of regionally made film and video. Jaki Velez is a Music and Entertainment Business student at IPR College of Creative Arts. In addition to handling social media and data management for EDU, she works for the Northern Film Alliance, serves as a member of the Soundset Street Team - a part of the Rhymesayers Entertainment Organization. In high school, Jaki participated in the professional/student collaborative music video for Atmosphere's single "Became," which received national recognition and critical acclaim. As a student in the BrandLab program, an organization whose mission is to guide and prepare underrepresented young people to careers in marketing and advertising, Jaki was awarded a prestigious scholarship and internship package. She served her internship with Target Inhouse, where she worked with the art department and assisted in talent acquisition. At EDU, Jaki manages the social media accounts and receives, organizes, and preps the hundred plus short films that are digitally transferred to the festival each year. After graduation, Jaki plans to pursue a career in the creative media industry. PJ is a freelance filmmaker, sound designer, and educator. He is a double-degree graduate of IPR College of Creative Arts, earning AAS degrees in the Digital Video & Media Production Program and the Sound Design for Visual Media programs. PJ teaches media arts to young filmmakers at Olsen Middle School and also works for Apple, serving as an instructor for Apple products at their store in Rosedale, Minnesota. As a military veteran and an active family man, PJ has learned to prioritize. He balances a free-lance career working on commercial projects - including a recent gig developing an upcoming feature film, with his work in education. At EDU, PJ deals with school outreach, technical direction, and event coordination. Ben Prescott is an educator, designer, and entrepreneur. His creative work ranges from graphic and fine arts to furniture design, screenprinting, and streetwear design. 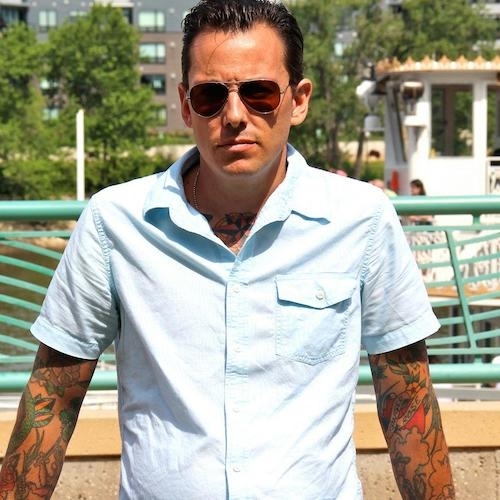 Ben is the co-owner of SECT Wear a web-based production design and collaborative clothing company. Ben was a founding teacher at Minneapolis' Digital Media Academy, a digital arts career academy that was a leading provider of sound, video, and graphic design instruction to Twin Cities high school students. At the DMA, in addition to teaching screenprinting and graphic design, Ben served as a classroom instructor for the BrandLab program, a nonprofit whose mission is to introduce, guide and prepare students of all races or socioeconomic backgrounds for careers in marketing and advertising. Ben has been the creative force behind the EDU Film Festival since its inception, working with student artists to design unified marketing themes for video, print, and the web.